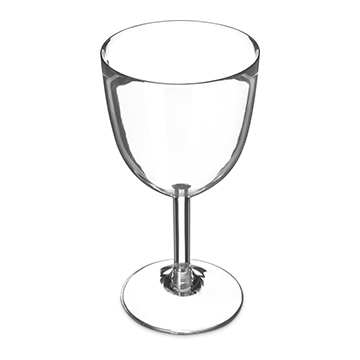 Disposable stemware glasses are necessities for catering operations, buffets, and other business models that serve customers in outdoor or self-serve settings. Plastic stemware gives customers the quality beverage that they want while allowing them to discard their glass after they've used it. And because each glass is made of durable plastic, the chance of a glass breaking, chipping, or cracking is greatly reduced.